Great lot remote location with small cabin, no utilities due to remove location nestled in the Chattahoochee National Forest. Property is close to Bull Mountain Trail System that provides approximately 36 miles of recreation Trails for Equestrians, Bicyclist and Hikers, Native Trout Streams close by. The cabin is surrounded by woods and truly off the grid. 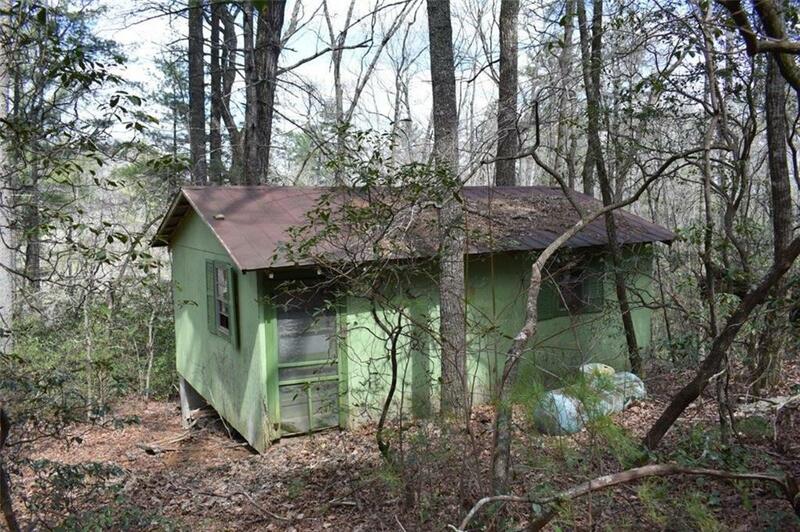 Cabin needs some TLC but the location is perfect for the outdoor enthusiast! Directions: From Nimbellwill Church Rd Go 2.1 Miles On Fs 28.1 Rd To Left On 77(Also Called Winding Star Gap)left On 77a For 1.7 Miles Drive Across Lane Creek(No Bridge) Park & Walk .3 Miles To Cabin Or Drive W/4-Wheel Drive. 1st Cabin On Left.